Are you ready for the longest race report ever? There are a dozen reasons why I shouldn’t have run this half marathon. Yes, I was trained for it, or at least as trained as I get these days. The entry fee was low, it was a “flat and fast” course, and, with it being in Charleston, West Virginia, I could stay with Mamaw and visit my Aunt Gloria. Those were the things that convinced me to run it in the first place. But things started to fall apart, as they sometimes do, and I considered not going just days before I was supposed to leave. First, Chuck’s work week got extended, which meant he wouldn’t be home. No problem, I thought. I can take the boys with me! They need to visit their great-Mamaw anyway! But then Salem got sick again – another block – and this time, the medicinal intervention wasn’t working. It all started late in the evening on Good Friday. We were waiting for family to arrive from Disney and I noticed Salem was crouching in odd places around the house. He grimaced, wouldn’t settle, and when I touched his belly, it was hard as a rock. I knew. Off to the emergency vet we went at midnight, where he was catheterized to relieve the pressure off his bladder. By 6:30 a.m. I was paying the bill and transferring him to our regular vet, who spent the next two days treating him. By Monday, it wasn’t working. 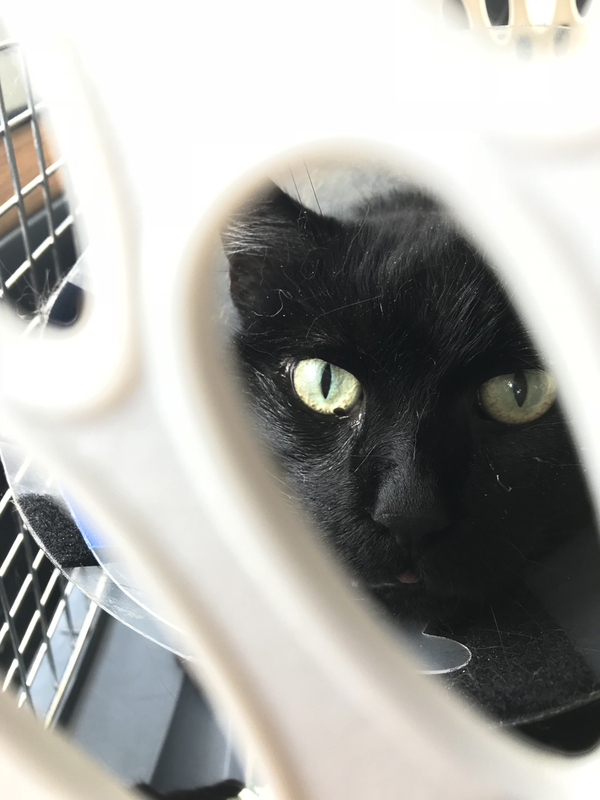 Pulling the catheter only made him block again, so a decision had to be made: Let him go or take him to the emergency vet in Knoxville for reconstructive surgery. I wasn’t ready to let him go. 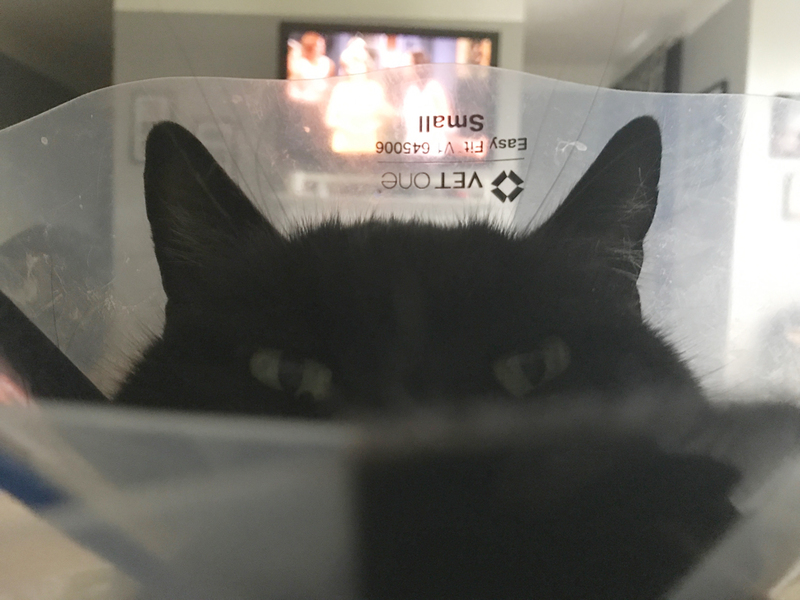 By Wednesday he was home with newly reconstructed urinary tract, stitches, and an Elizabethan collar (i.e., the Cone of Shame). I was to leave in two days for my race, but seeing as how he was heavily medicated and still wandering like a zombie, how could I leave? 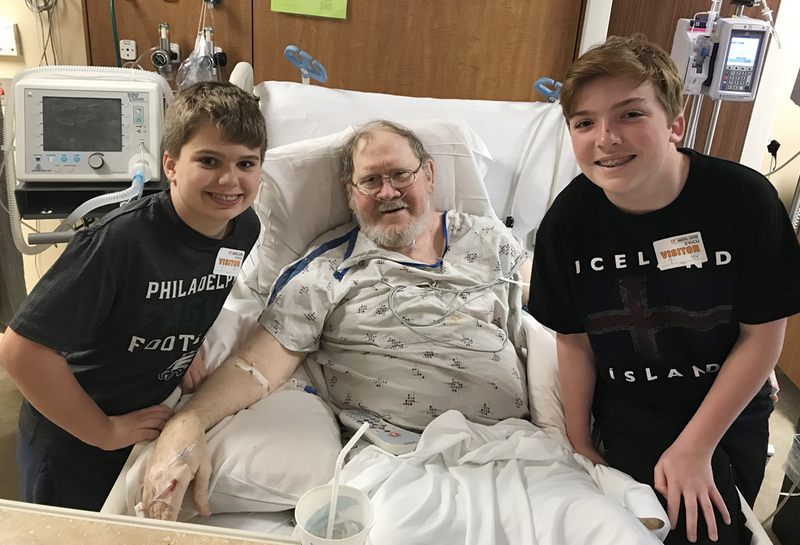 More important than my cat’s health is my father-in-law’s health, and he is not well. Needless to say, there is a lot going on here. As I toyed with the decision to stay or go I got wind that my Aunt Gloria had fallen in the night and fractured her pelvis in three places. She was in a rehab center, so the pull to go to Charleston was now not just the race but also visiting her. I was torn. Enter stage left: The BFF. Corey texted that she was ready and willing to come up Thursday night from Atlanta and stay through the weekend so I could run the race and visit my aunt in the hospital. For real? She would keep the boys? Take care of Salem? Spend the last few days of Alex’s spring break in Tennessee? Immediately I thought no way. That’s too much! It’s too much help. It’s silly! I could stay home. I should stay home. I’ll just stay home. But no, she meant it, as best friends often do, so I accepted. 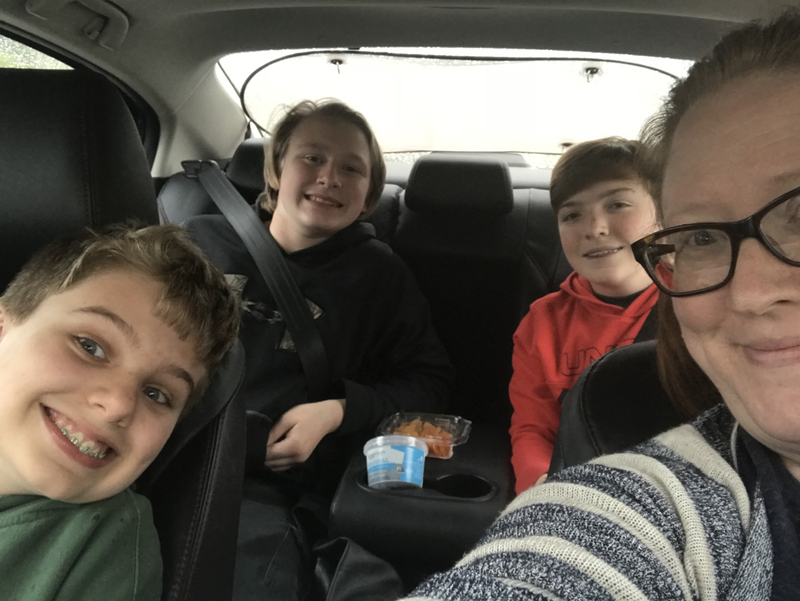 She and Alex showed up late Thursday night, and after taking the boys to visit their Papaw, who’d been released from the hospital into hospice care, I packed my car and set off for a brief 24-hour stay in Charleston. I visited Aunt Gloria as soon as I arrived and stayed up for a short while talking with Mamaw. 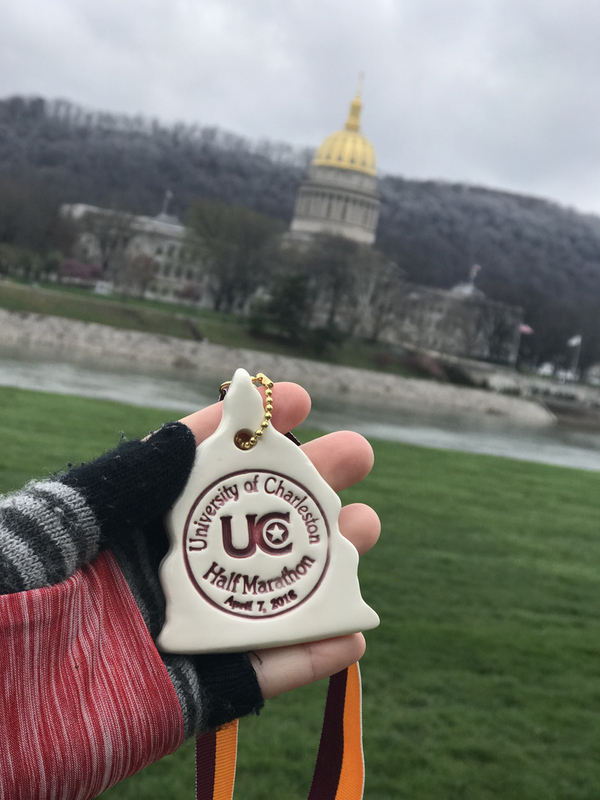 The race didn’t started until 8 a.m., but I’d missed the cut-off time for packet pick-up, so I needed to get to the University of Charleston no later than 7 a.m. to get my bib. Naturally, since the lead-up to the race had already been tumultuous, I started to feel poorly as I went to bed Friday night. My stomach was wrecked, and I felt weak. What in the world was this cosmic punishment? I couldn’t settle in, couldn’t get comfortable. It felt like a million needles were penetrating my abdomen. I barely slept. When I wasn’t writhing in bed I was on the floor of my Mamaw’s guest room holding yoga poses to ease the pain. When the alarm went off at 6:15 a.m., I’d dozed for few hours but didn’t sleep a wink. This isn’t unusual, by the way. 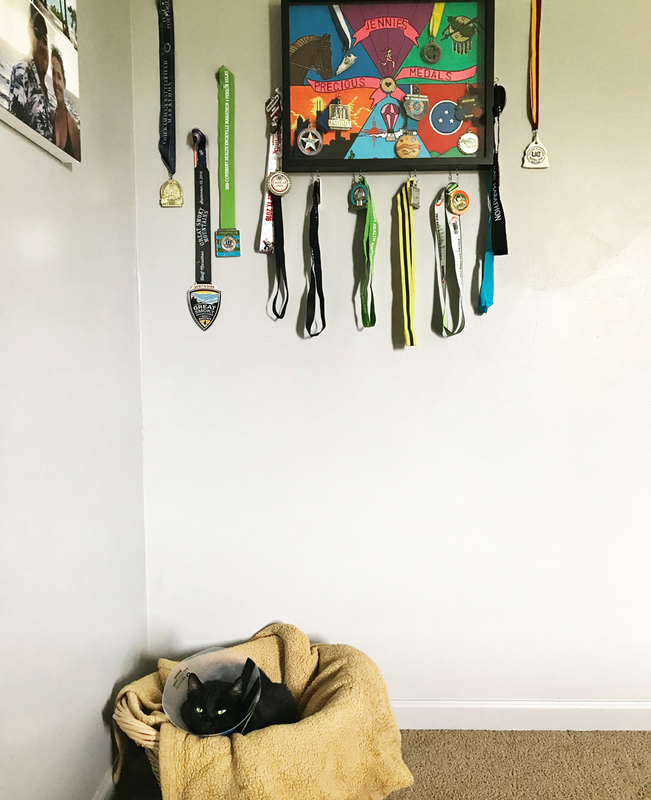 I rarely sleep well the night before a race, and it’s been this way for a decade, so nothing has improved in that area. I’m too nervous about potentially sleeping through my alarm, being late, and not being allowed to run. Personally, I think the pre-race anxiety helps me. 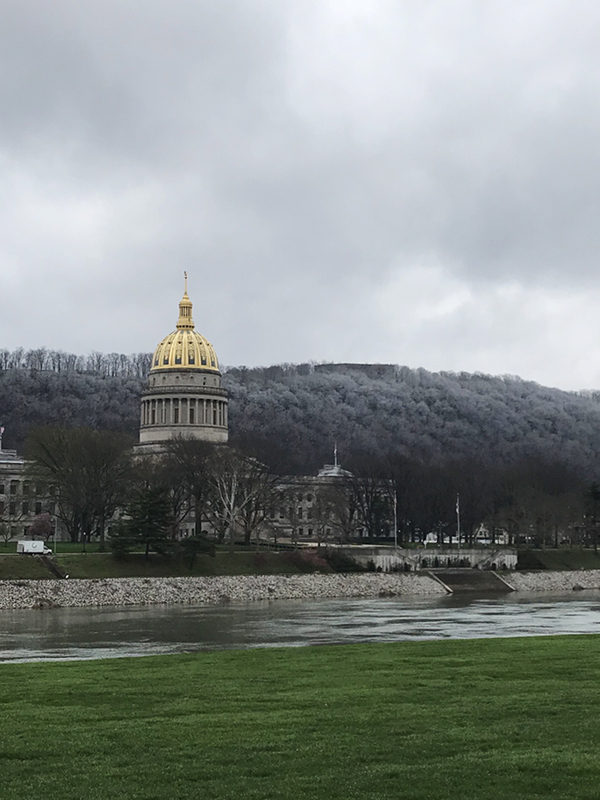 The University of Charleston is situated directly across from the capitol building on the other side of the Kanawha River, which made for a beautiful run. I’m sure the event organizers would’ve appreciated warmer weather. Corey sent me photos from home, a sweet reassurance that all was well. After a long, steaming hot shower, I had a quick bite of lunch with Mamaw and packed my things to go. My original plan was to stay much longer, but the original plan was long gone. I got on the road and headed home. Yet, we all press on because that’s life. Lord willing, which I’ve learned to say more frequently now, I’ll run my 20th race in May. Should things fall apart again, maybe I won’t. Who knows?